The details exposed through leaked documents from the Panamanian law firm Mossack Fonseca make frightening reading as possibly trillions have been hidden away to avoid tax or hide illegally gained funds. New Zealand is referred to as being "quiet little achiever" as a tax haven for criminals. The response to this embarrassing revelation is interesting. The Government has taken the line that New Zealand was given a clean bill of health for our tax regime by the OECD in 2013 and nothing we are doing is illegal. 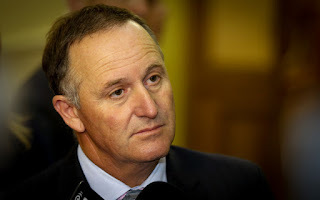 Key explained that New Zealanders have to pay tax and we expect full disclosure of any economic activity. However, while foreign trusts have to disclose their existence they don't have to declare the real source or amount of money involved. Key promotes the fact that the management of the trusts in NZ earns our industry around $24 million a year. It appears if we can earn money through accepting foreign trusts little else matters. New Zealand's economy is one of the most open in the world, we are ranked 2nd in the world for the ease of doing business. We allow foreigners to buy property with few restrictions and our current Government has provided tax breaks, free services and lump payments to overseas film companies, oil companies and Rio Tinto. We have it written into law that under table payments are an acceptable part of doing business overseas and have paid around $12 million on a massive bribe to a Saudi businessman so that we can further a trade deal with one of the most morally corrupt countries in the world. It appears that all is fair in war and business under a National Government. New Zealand has amongst the fastest growing inequality in the world and is complicit in supporting corrupt businesses and individuals globally in avoiding paying tax. The economic activity and profits generated from the efforts of the world's workers are being funneled up to an elite few, who then shift their profits to off shore tax havens. There is less tax money now available to support the hospitals, schools and general infrastructure of developed nations around the world and rather than deal with the loop holes, austerity measures in government spending has become necessary. This is a global problem, but it appears that New Zealand is a major player in supporting tax avoidance and hiding the profits of illegal activity. One of the reasons that New Zealand is such a popular tax haven is our image as a first world country and our international reputation of honesty and respectability. It appears that this tax haven revelation has exposed the rather grubby underbelly of our 'honest' little nation. We are no longer clean and green and we are no longer a nation built on honesty and integrity. The flag referendum failed so creating a banana republic will become John Key's real legacy. Postscript: lots of evasive talk and diversionary tactics from Key today in the house including blame for the current legislation shifted to Labour and yet someone found this today that revealed that a 2011 tax change that National instigated was probably a pivotal element in creating our current situation. It also explains why there was a huge increase in foreign trusts since that time. I agree Philip, if a beneficiary gets overpaid through no fault of their own it is still called fraud, but those who are rich are given much greater latitude in how they obtain or invest their wealth.